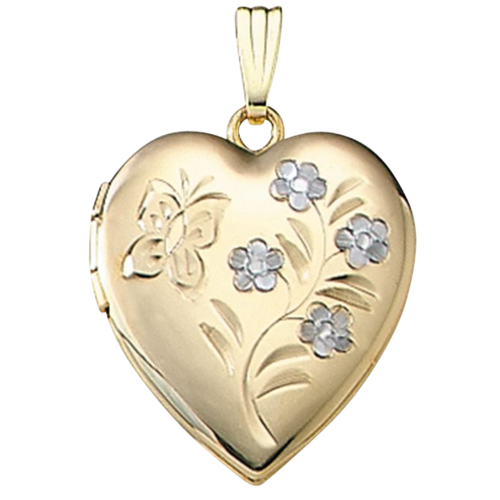 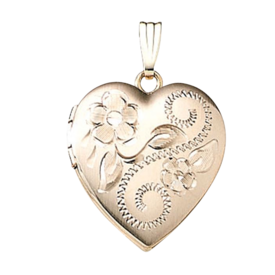 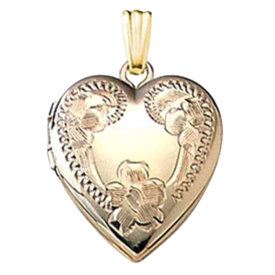 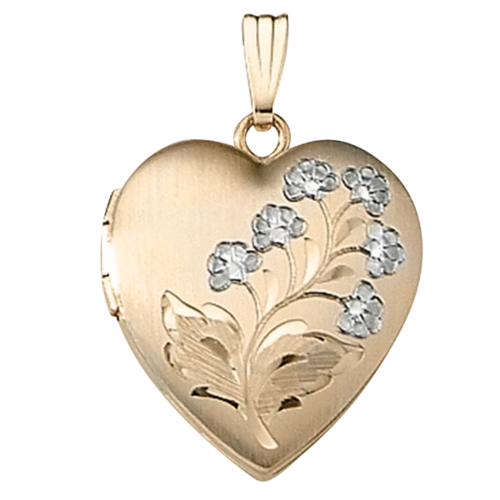 This 14k Gold Heart Locket is graced with White Gold Flowers and a Butterfly. 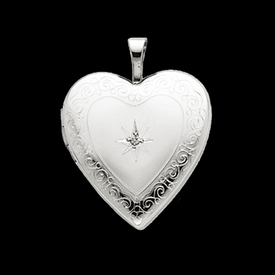 Locket measures approx. 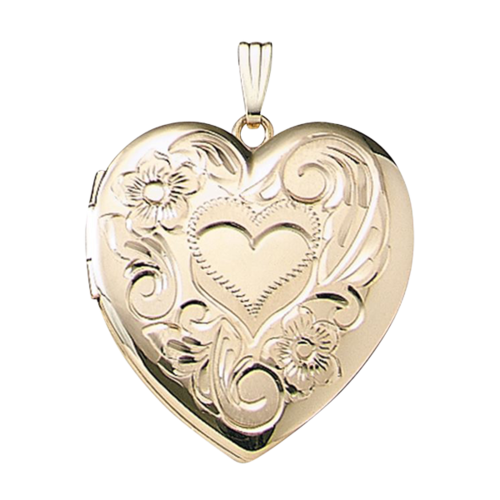 19mm wide and 18mm in height. 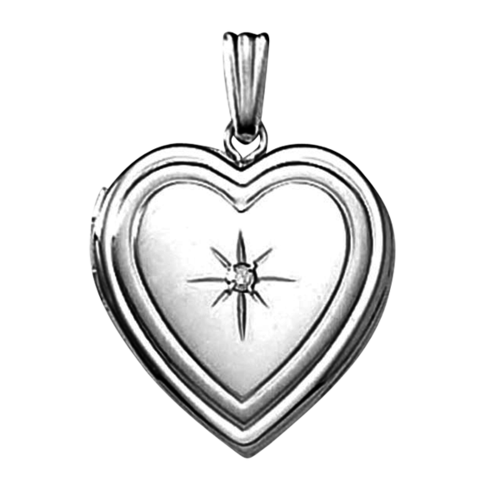 This locket comes with a clear protective cover for each photo inside. 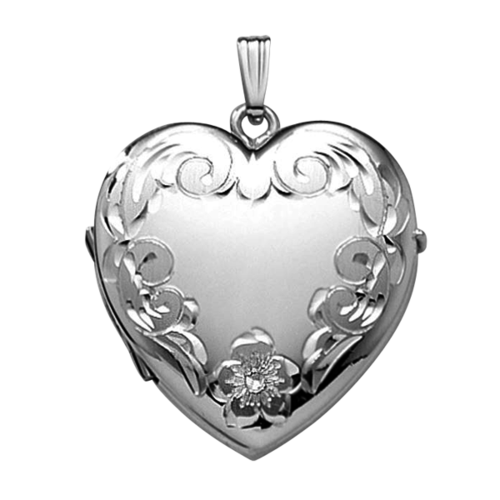 Very pretty locket. 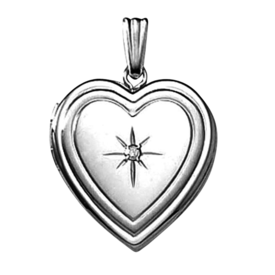 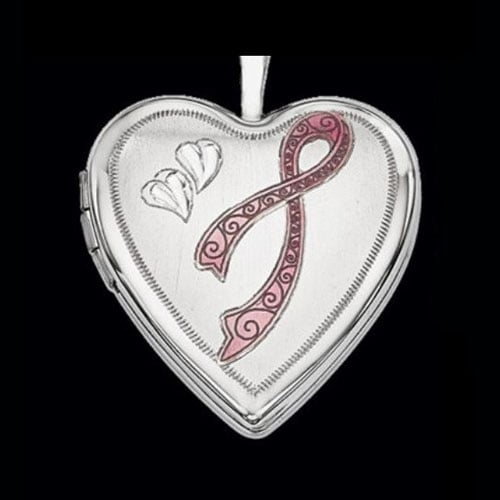 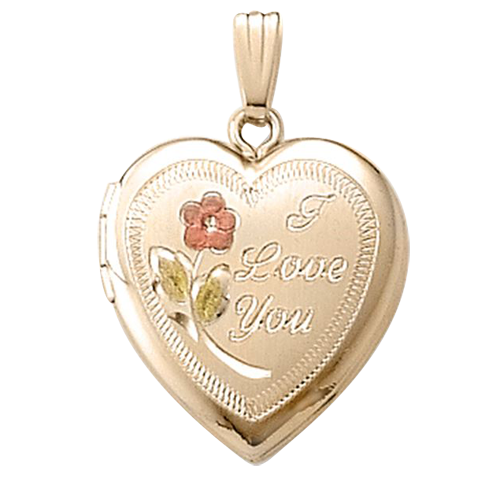 Personalize this locket with your special engraving. 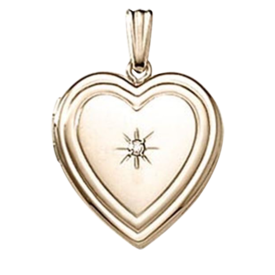 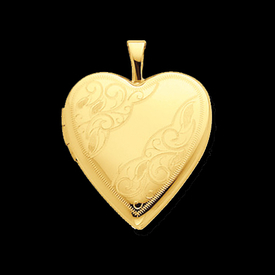 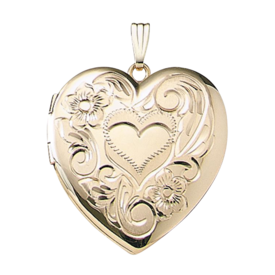 Beautiful 14k gold shiny heart shaped locket. 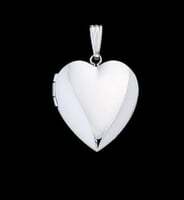 This simple design measures 19mm. 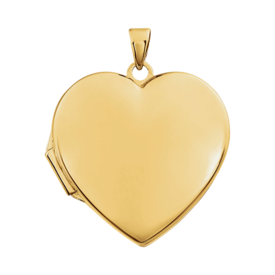 Available in 14k White or Yellow gold, a beautiful way to keep your loved ones close. Will hold 2 photos. Stylish 14k gold plain heart shaped locket. 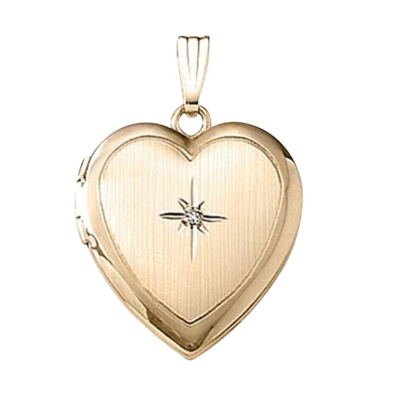 This simple design is available in 14k yellow, white, or rose gold selections. 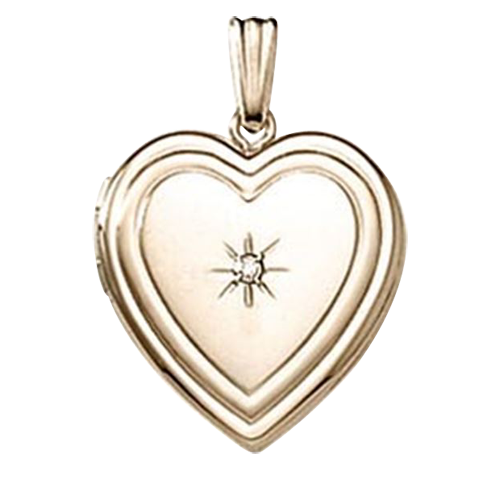 Locket weighs 2.89grams and measures 28.4mm in length by 23.5mm across. 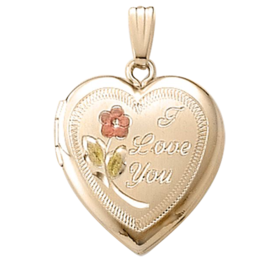 This gold locket will hold 2 of your special photos close to your heart. 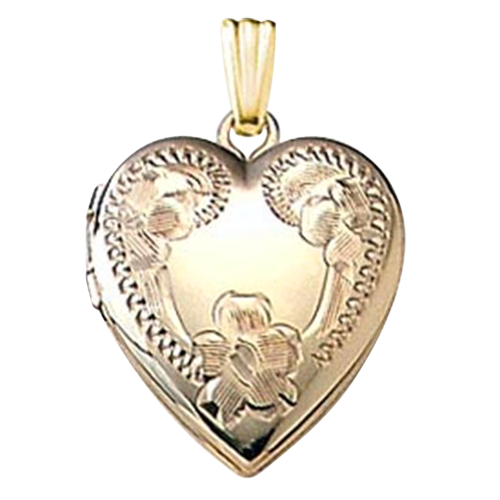 Make this a special keepsake with your personalized engraving. 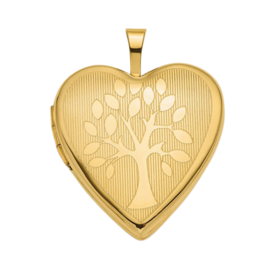 Lovely 14k Yellow gold Tree design heart locket. This locket weighs 2.94grams and will hold 2 of your favorite photos. 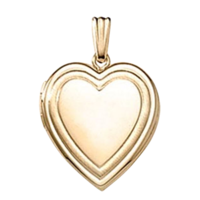 Measures 20mm in length by 19mm wide before the bail. Locket is 4.92mm thick. Lovely locket.